We have witnessed the passion of Jesus, we have heard the promise of covenant fulfillment, and we wait in quiet for resurrection. We rest in the consolation of the Spirit, we turn to one another in our disappointment, and we wait in quiet for resurrection. 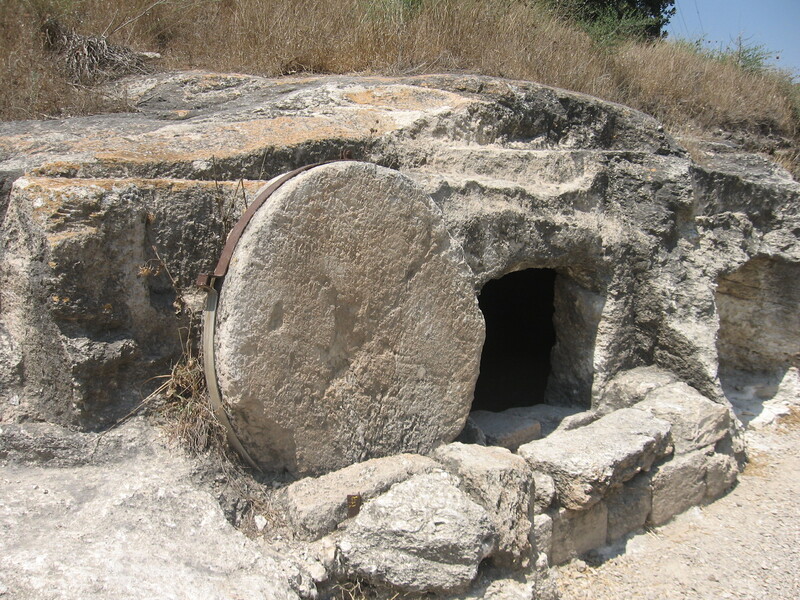 We plan to go to the tomb to anoint the body of the one who brought promise and healing, we ask who will roll away the stone, and we wait in quiet for resurrection. A rolling-stone grave in Galilee. Like the women who tend to routine tasks that keep our days moving forward, we wait in quiet for resurrection. Like the men who wait in fear for consequences they cannot control, we wait in quiet for resurrection. Like the children who show us the way through darkness, we wait in quiet for resurrection. Like the disciples who travel to Emmaus, we wait in quiet for resurrection. Like the apostles who return to their nets and boats, we wait in quiet for resurrection. Like the servants who know their mission, we wait in quiet for resurrection. Like the servants who witness and watch, we wait in quiet for resurrection. Like all those who follow Christ, we wait in quiet for resurrection, we witness to injustice, we pray for our friends and enemies, and we trust that when we arrive at the tomb . . . Jesus himself will have rolled away the stone . . . so that we might step forward as servants in Christ. When we compare other translations of these verses, we open ourselves to the reality that Christ rolls away stones so that his servants might work to build God’s kingdom. This week we spend time reflecting on how we might best become God’s faithful servant. When we watch Jesus approach his Easter exodus and resurrection, we are encouraged by the joy of his Easter rising, but frightened by his passion and death. We ask . . . are we able followers of Christ today? Do we rest in the Spirit’s healing consolation? How much do we rely on God for help in all matters, large and small? A Favorite from June 17, 2010. “Responding to the people’s complaint of utter abandonment by God, the prophet shows that their sins were responsible for their banishment. Since there was no bill of divorce, the bond between the Lord and his people still exists and he will ultimately save them”. (Senior 932) This is good news for each of us! It is also a call to investigate our relationship with God to ascertain how well we are connected with this life-saving and eternity-giving force. In verses 4 through 11, the third of four “Servant of the Lord” oracles (932), we read the description of a well-tuned connection with God. Despite the buffeting and spitting received from one’s enemies or from the mere living out of one’s life each day, the soul rises each morning when God opens the ear for hearing, when God gives words to the well-trained tongue for speaking, and when we trust in the name of the Lord and rely on God. The word of God among us is Christ . . . who awakens us each morning that we might hear and see what we are to say and do. These songs comfort us because they remind us of what we know – even if or when we do not want to admit that we know – our only substantial help is in God. And once we have been helped by God, we are to turn to those who follow behind, and minister to them as God asks. The Lord my God is my help, therefore I am not disgraced . . . This is the reason we will want to listen for words to come from the Holy Spirit. This is the reason we will want to follow Christ. This is the reason we will want to rest in the hands of the Lord . . . for in this place is our hope, our shelter, our redemption and our salvation. The Lord God has given me a well-trained tongue, that I may how to speak to the weary a word that will rouse them . . . When we are buffeted and tossed life, rather than think of our own pain, let us listen for how we are to use what we feel. And let us take shelter in the Lord who is our only salvation. Our only help. Tomorrow, a familiar story . . . Exodus. Senior, Donald, ed. THE CATHOLIC STUDY BIBLE. New York, Oxford University Press, 1990.932. Print. Yesterday we reflected on the role of the servant in God’s plan for creation. Today we reflect on the servant’s mission. When we wonder if our thoughts are one with God’s, we examine the source of our motivations. Do we forgive our enemies? Do we pray for those who harm us? Do we reach out to those who are broken-hearted? When we wonder if our words reflect God’s plan, we examine the foundation of our beliefs. Do we speak up when we see injustice? Do we rebuke ourselves and our loved ones when we go astray? Do we shelter the homeless and feed the hungry? When we wonder if our actions serve to build God’s kingdom, we examine the fruits born from our life’s work. Do we work to break down unjust structures? Do we work with others to ferret out corruption no matter where we find it? Do we work to create societies that give preference to the poor? When we wonder if we have the faith to persist in our mission, we ask God for strength. When we wonder if we have the hope to believe in God’s promises, we rely on Christ’s encouraging presence. When we wonder if we have the love to work for the transformation of the world, we rest in the Spirit who heals, counsels, and consoles. As we near the Easter Triduum, we move forward to continue the work of our mission as God’s servants. When we compare varying translations of these verses, we find the strength, confidence and mercy to move forward in our mission as disciples of Christ. We enter the holiest of weeks. We reflect on the scriptures that bring us to Christ’s passion, death and resurrection. We enter into this story as best we can to discover how we might become God’s servants. When we look for intimacy with God, we remember that God chooses us and nurtures a relationship with us. my chosen one, in whom I take pleasure. he will bring justice to the [nations]. When we wonder how we are to behave, we remember that God comes to walk among us to lead us out of the darkness and into the light. he will not weaken or be crushed. When we think about how we are to proceed, we understand that no matter the obstacle, God is with us. No matter the betrayal, God is for us, and no matter the separation, God unites us. When we reflect on Isaiah’s message on this Holy Monday, we arrive at understanding that we are created in love, created by love, and created for love. When we accept this thinking, we take our first steps as God’s holy servant. When we compare other translations with the COMPLETE JEWISH BIBLE version, we discover how we might become God’s servants. Tomorrow, walking with eyes open. Click on the image to learn about the doctrine of Jesus as a social justice issue. On this day before Palm Sunday, we visit the first reading for today’s liturgy, and we remember. The dry bones brought to life out of the dust of nothingness . . . we remember Israel and Judah reuniting in the metaphor of the two sticks . . . and we remember the promise to us of deliverance and reunion. Oh my people! I will put my spirit in you that you may live, and I will settle you upon your land; thus you shall know that I am the Lord. I have promised, and I will do it, says the Lord. From yesterday’s MAGNIFICAT Evening Prayer Mini-reflection: Because we have been forgiven, we know the way of forgiveness; because we have been healed, we know the way of healing; because we have known God, we know the way of God. The gifts given to us are gifts for us to give. This introduces Psalm 86:11-17, and James 2:12-13. The citations are worth reading. These are the intercessions. The Lord commanded us to show to one another the love that he has shown to us. Let us pray earnestly for the gift of charity made real in our daily lives, saying: O God, give us your help. You have said: do not judge, and you will not be judged – grant us the compassion to seek what is good in others as you have sought what is good in us. O God, give us your help. You have said: do not condemn, and you will not be condemned – grant us the mercy to build up others as you have built us up. O God, give us your help. You have said: pardon and you shall be pardoned – grant us the grace to forgive as you have forgiven us. O God, give us your help. Today we celebrate the life of Saint Maximilian Kolbe, a Franciscan, who was held at Auschwitz and died on this date in 1941 when he took the place of another who was condemned to death. Kolbe acts on the hope expressed by the image in Ezekiel today, he follows Christ’s request that we refrain from judging and condemning, and he pardons those who enslave and murder their fellow countrymen. Kolbe knew – and we know – that God promises rebirth, new life, reunion and new life to each of us. Ezekiel uses a story of desiccated bones and broken pieces of wood to prophesy our future. Let us think of all that troubles and divides us, and hand it over to God. Let us think of all that breaks us and brings harm, and hand our anger over to God. Let us think of all that pains us and is sorrowful, and hand the sadness over to God. Oh my people! I will put my spirit in you that you may live, and I will settle you upon your land; thus you shall know that I am the Lord. I have promised, and I will do it, says the Lord. Amen. A Favorite from August 14, 2010. Cameron, Peter John. “Meditation of the Day.” MAGNIFICAT. 14.8 (2010). Print.